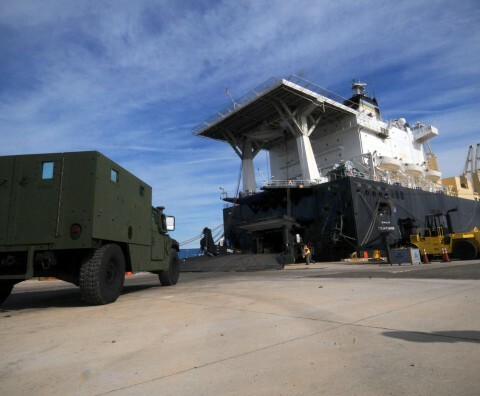 Operational Logistics (OPLOG) is a key enabler to our DoD customers. LSInc’s core competencies include the maintenance, supply chain managment, and other sustainment support required of operational forces both afloat and on the ground. Maritime Pre-positioned Ships (MPS) LSInc has been providing support to MPS for almost 2 years as a subcontractor to Honeywell Technical Solutions Inc. (HTSI). We provide maintenance and logistics support to MPS in the Pacific Oceans area of operations. As part of our support we coordinate all required deployment medical and dental screenings, drug testing and background checks. We also deploy each person from Home of Record (HOR) to the HTSI facility at Blount Island Florida for shipboard operations training. Once training is complete we deploy each individual to a designated port for link up with the supported ship. Specifically under this program we are currently providing Motor Transport Mechanics, Logistics Specialists and HAZMAT Material Handler. Army Pre-positioned Stocks (APS-3) Building on the ship board experience gained in supporting Honeywell’s Maritime Pre-Positioned Ships, LSInc has been selected to provide similar support to the Army Pre-positioned Stocks (APS-3). Under this program LSInc is subcontractor to HTSI providing material readiness support personnel, specifically Mechanics III and Material Coordinator’s. Additional support includes the maintenance of equipment that is aboard APS-3 vessels afloat. As part of this support we coordinate all required deployment medical and dental screenings, drug testing and background checks. 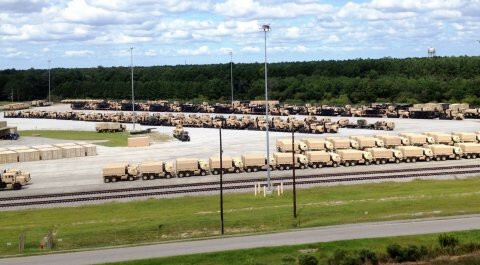 We also deploy each person from Home of Record (HOR) to HTSI facility in Charleston South Carolina for shipboard operations training. Once training is complete we deploy each individual to a designated port for link up with the supported ship. In December of 2013 we were awarded additional positions supporting APS-3 and specifically providing specific logistics skill sets to support the re-set of APS-3 ships in 2014. These skill sets include: Carpenter, Maintenance, Material Coordinator, Computer Operator IV Production Control Clerk, Warehouse Specialist, General Clerk I, General Clerk III, Shipping and Receiving Clerk.